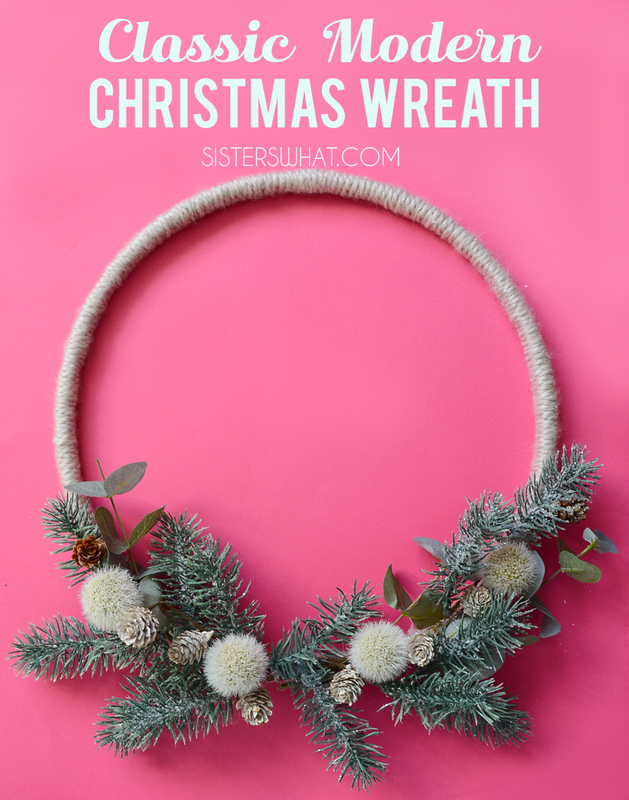 ' Classic Modern Christmas Wreath - Sisters, What! 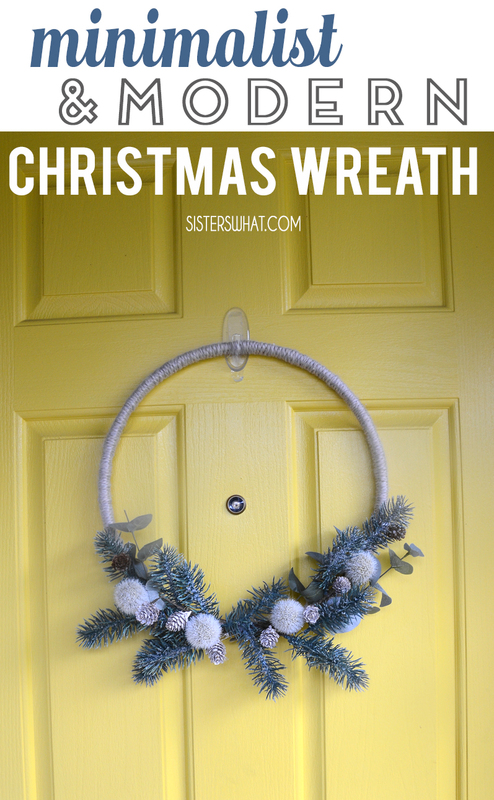 This classic but modern wreath is quick to make and very easy to customize to your liking. 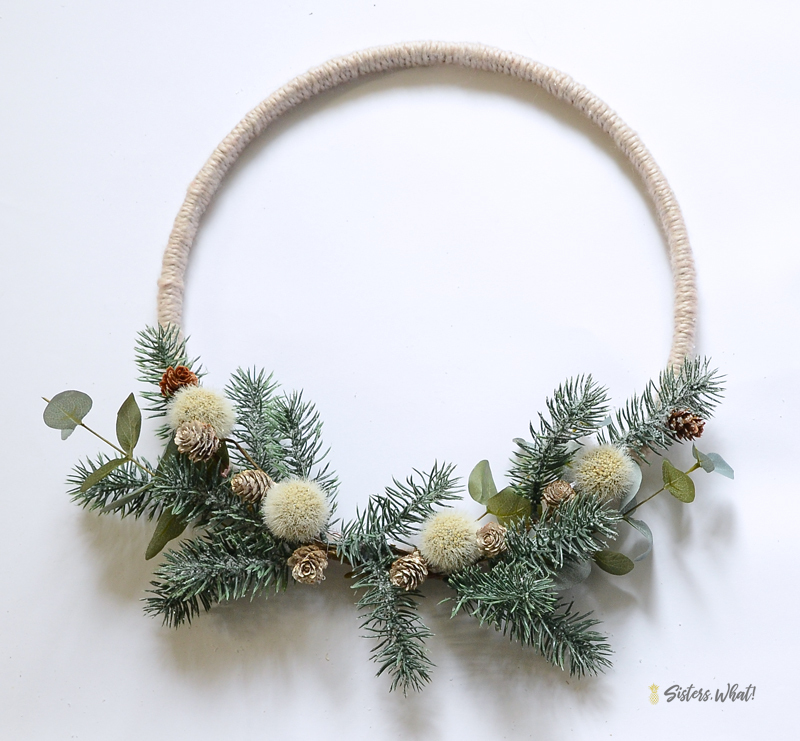 Just an embroidery hoop, some yarn and various evergreen greenery and you can make a lovely winter wreath. I'm so excited to be joining in Creative Christmas Challenge hosted by Remodelaholic. Make sure to check out the other participants projects at the end of the post. I guess you could say that this year is the year of wreaths. 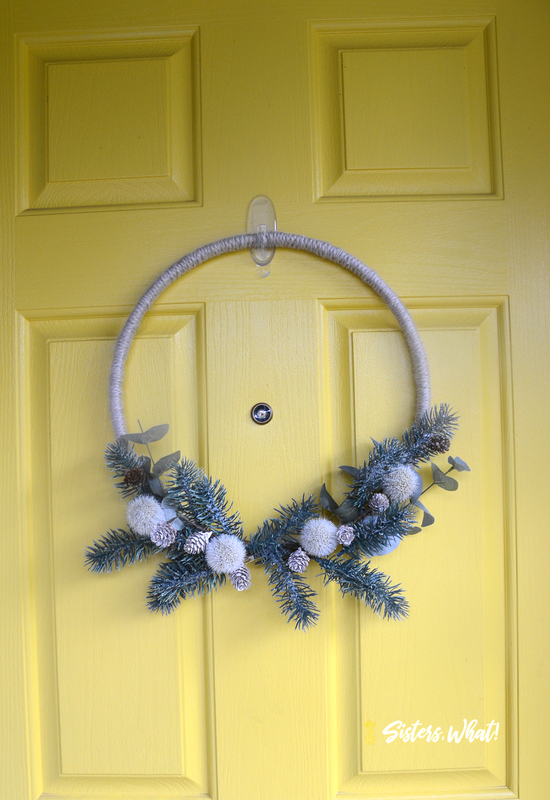 I made a spring wreath, summer wreath, a fall wreath and now it's time for a Christmas wreath. 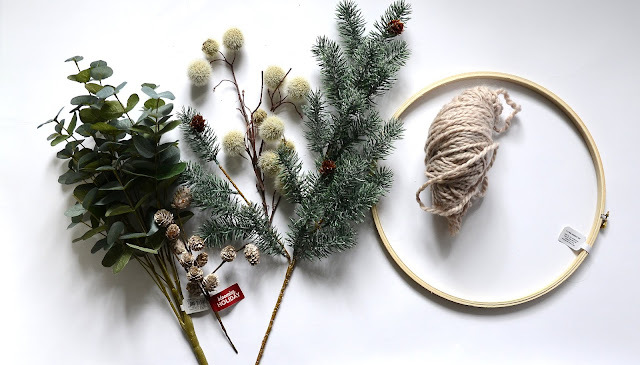 I'm no wreath expert or a therapist, but I feel like wreath making would make for a great creative therapy. Just think about it, you could talk and make a wreath all in the time of a 30 minute session. 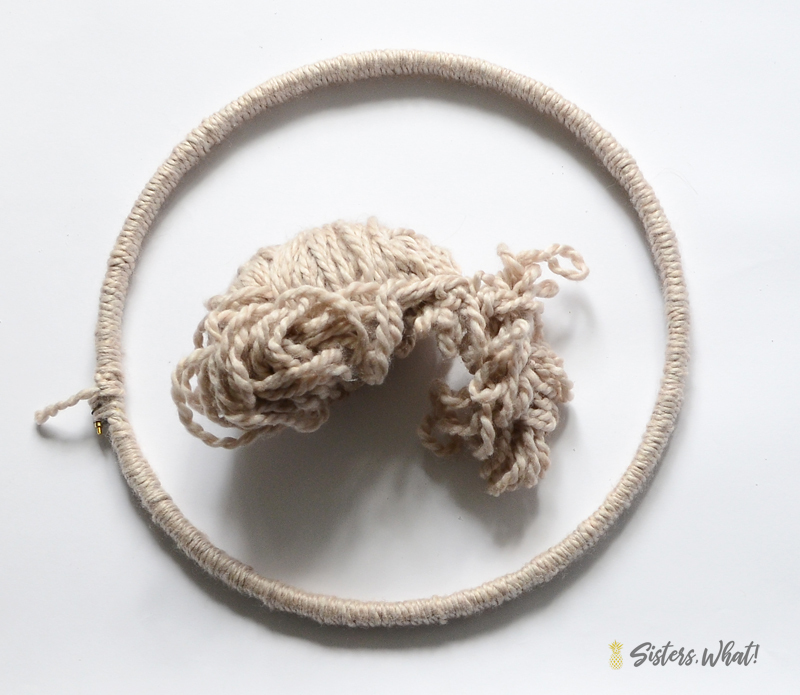 First wrap embroidery hoop in thick yarn. Not too tight, but tight enough to cover all the wood. Next arrange florals how you want on the wreath. Wrap wires around the greens of the arrangement. Then hot glue everything into place. This post may contain affiliate links. Thanks for supporting Sisters, What!